After the acquisition of Gizmo5 by Google, everybody knew what was about to happen. Google will expand to the realms of VOIP which is currently dominated by Skype. Its not about a question of if, it was a question of when. 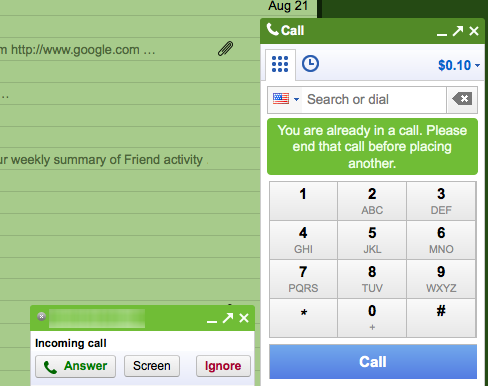 Finally, after the long wait, Google launches Call from Gmail. 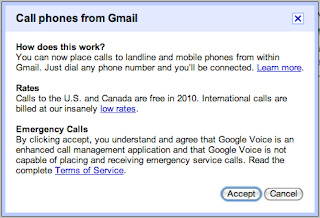 From the comfort of your own Gmail account, you could call the US and Canada or free. Hello there little Call Phone button! By default, if you're not a Google Voice subscriber, your number will display as a generic number. But Google will offer you to upgrade your account to a Google Voice account for free and you get to pick your own number. But theres a catch, you need to have a US number. I tried ringing my Google Voice number from my other account. You will be offered a Google Voice number if you want to be reached easily. I circumvented this problem by using our Magic Jack number so I could reserve a number with POGZ in it. 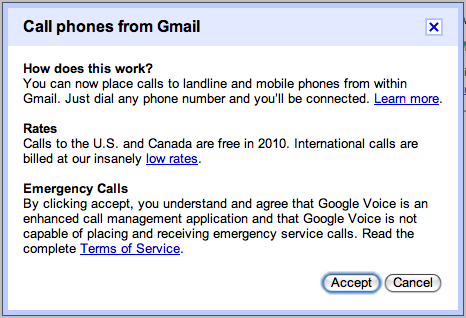 Also, there is that error that says Google Voice is not available in your country. I remember I activated my account when I was in America a year ago but you could always use those free US proxies just to enable your account and to call dibs on the number you want. You could select the option Forward to Google chat all calls from your Google Voice number. This is what it looks like when you're being called on your Gmail account. Feel free to try it out for yourself! 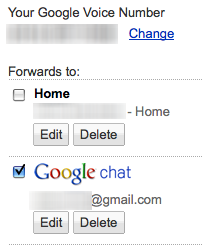 Log in to your Gmail account and click on the Call Phone button on your Google Chat box. As per Engadget's review of the call quality, Calling FROM Gmail surpasses the quality held by Skype but apparently, as they reported, Google still has work to do in improving its noise cancellation technology. If you want to read more about Engadget's article, click here. The call rates for other areas of the world could be found here. And as Google said, its "Insanely Low" rates is in fact, really low compared to SIP services, Skype and Yahoo Messenger. Apparently, after that net neutrality ruckus with Verizon, I think they're still wearing the smug launching this service. It kinda feels like they kicked the teleco companies in the nuts. Good job Google! You've made the world a smaller place once more!